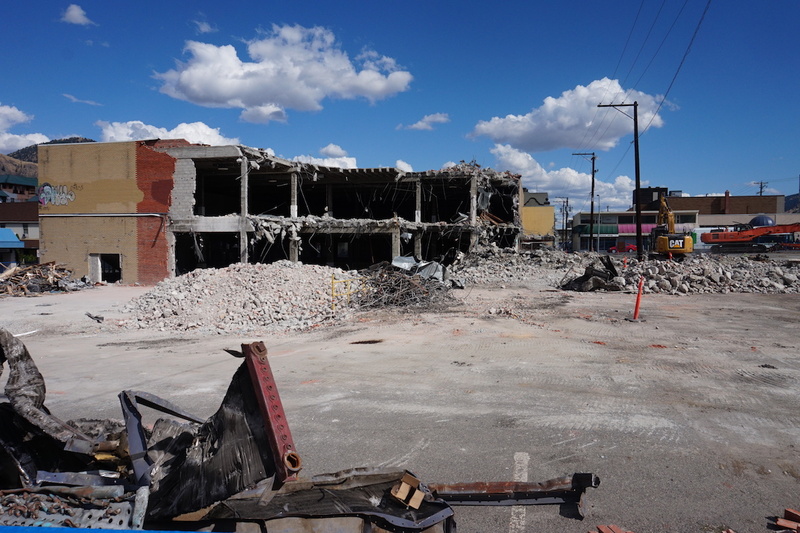 For many, the destruction of the KDN building symbolizes what’s wrong at City Hall. THE KAMLOOPS civic by-election is a week away, and it’s coming down to money. Public money, that is. Tax money. The poster child, er, building, is the deceased Kamloops Daily News HQ at Fourth and Seymour, slowly but surely being crushed and soon to be paved over. This daily spectacle in the downtown core provides a visual reminder of how things can go wrong, and a rallying point for those unhappy with City Hall. Mel Rothenburger is a former mayor of Kamloops, former school board chair, former editor of The Kamloops Daily News, and a current director on the Thompson-Nicola Regional District board. He was awarded the Jack Webster Foundation’s lifetime achievement award in 2011. His editorials are published regularly on CFJC Today and he appears Wednesdays on the CFJC-TV evening news with his Armchair Mayor commentary. 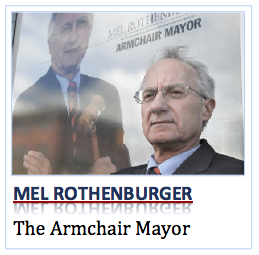 Contact him at mrothenburger@armchairmayor.ca. We could see a repeat performance of the 2011 civic election when we “almost” got a new Mayor because of public sentiment at the time. I am hoping that people on fixed incomes will take a look at how they have had to manage personal finances when faced with the status quo mentality of 2.5% ad noseum. While we (I think of myself in that category) face our personal budget freeze and cutbacks in basic commodities, it has become a bit hard to swallow the pill of constant increases placed upon us by folks who may or may not be in the same social class. For a year with a new face and new ideas, I am willing to bet a dollar or a black mark in the circle beside Bill’s name. Perhaps there’s a rebel teenage spirit still living within me that likes to pop its head above the trench from time to time. Or, like my uncle who was a tail gunner in a Lancaster in World War 2; it is a cold and lonely place to be in the dark of night but you either fight back or put up with what is thrown your way. Tax freeze for a year or more is easily achievable. To stop all silly, pointless, wasteful landscaping projects only benefiting well-connected “companies” and then wasting more tax dollars in (sort of) maintaining them. Then of course, when looking at the bigger picture, even more money could be saved by making changes to workforce management. Taxpayers do not owe them a cushy job for life, full of perks, benefits and part-time work at full-time wages.